Roku squashes fears about a new type of streaming video ad sniffing out other devices on your Wi-Fi network. "The statement in the TechCrunch Story is false and we’ve asked TechCrunch to remove it from their story. Roku does not collect data from a customer’s WiFi network nor collect data from any other devices on a customer’s WiFi network." The original article can be read in full below. A new type of advertisement on Roku devices is raising privacy concerns among some users. 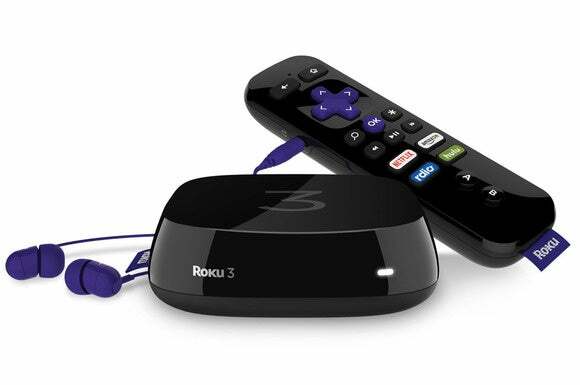 Roku is partnering with a company called Innovid to offer interactive advertisements. The ads could allow users to play a game, view current sales, or browse a retailer’s catalog. CBS, Crackle, and VEVO, all of which run video advertisements in their Roku apps already, will reportedly be the first to try the new interactive ads. The creepy-sounding part comes buried in a TechCrunch story on the new ad format (emphasis mine): “These interactive ads can also be personalized using data like a user’s location, as well as by tracking information collected on devices running on a household’s Wi-Fi network using traditional means,” TechCrunch’s report says, without any further explanation. That line seems to imply that advertisers can see other devices on your network—for instance, which TVs, smartphones, and computers you own—and personalize its ads accordinging. But it’s hard to say for sure without more details. We’ve reached out to Roku for clarification, but haven’t heard back yet. Why this matters: Roku’s streaming media boxes have thrived in recent years, largely because users appreciate its app-selection and user-friendliness. Letting advertisers snoop through users’ Wi-Fi networks would be a fine way to tarnish that goodwill, so hopefully the company can clarify what it’s doing and backtrack if it’s as bad as it seems.